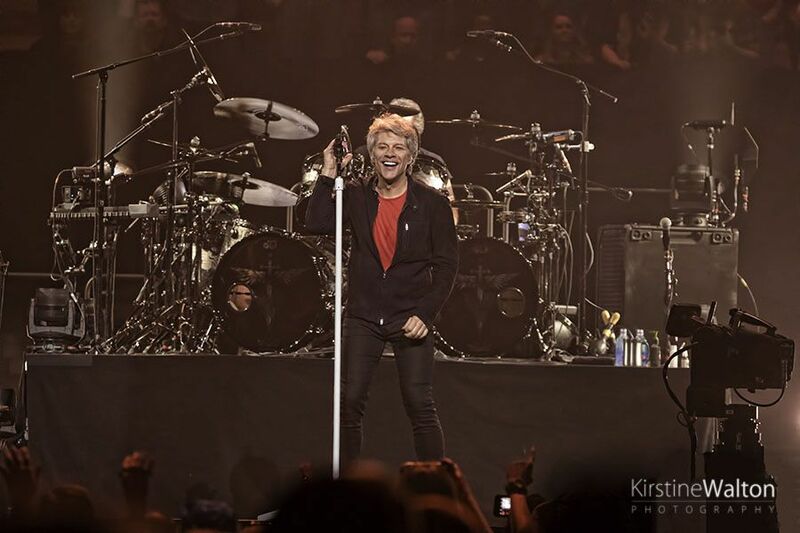 Hot on the heels of their induction to the Rock And Roll Hall Fame, Bon Jovi return to Chicago’s United Center. 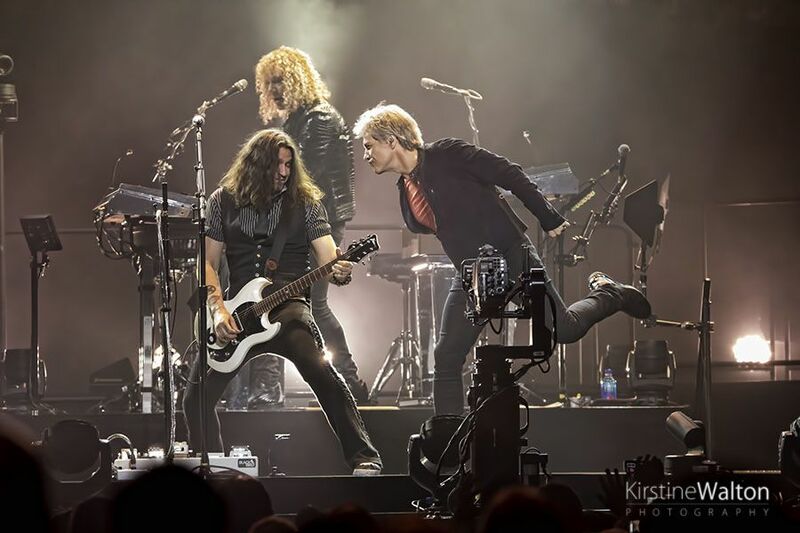 Bon Jovi are known for inviting local bands to open for them when they come to town, and this was no exception. 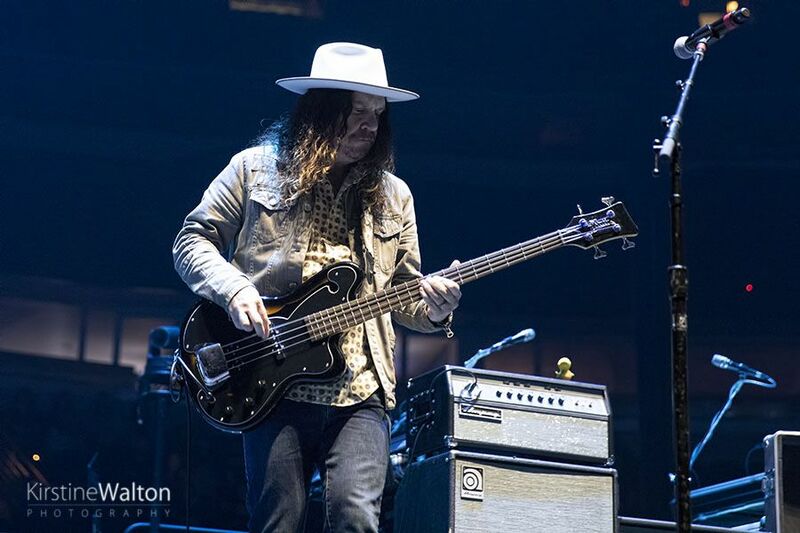 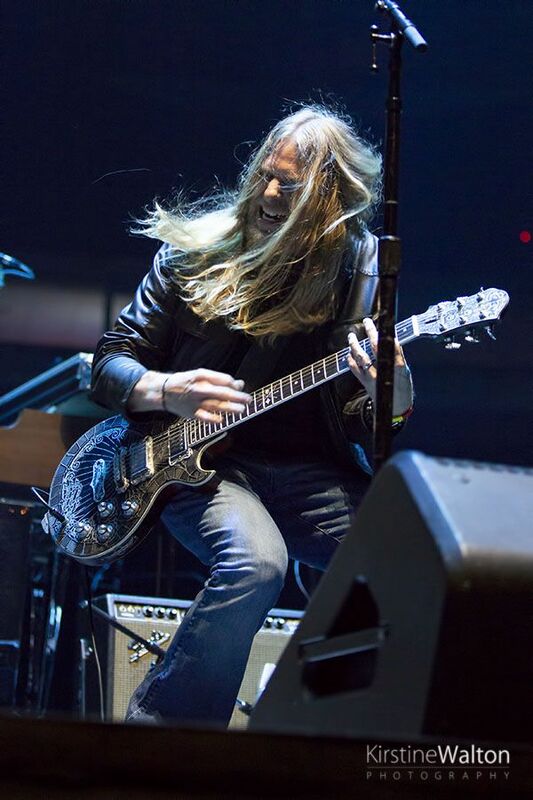 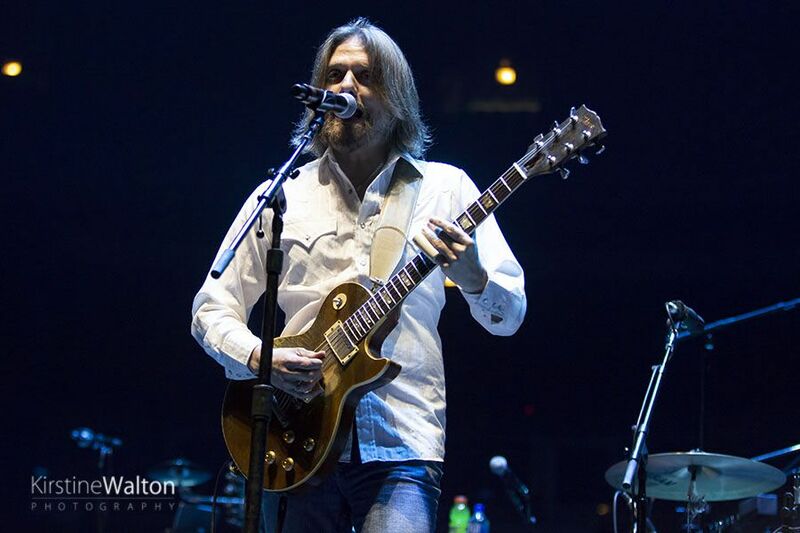 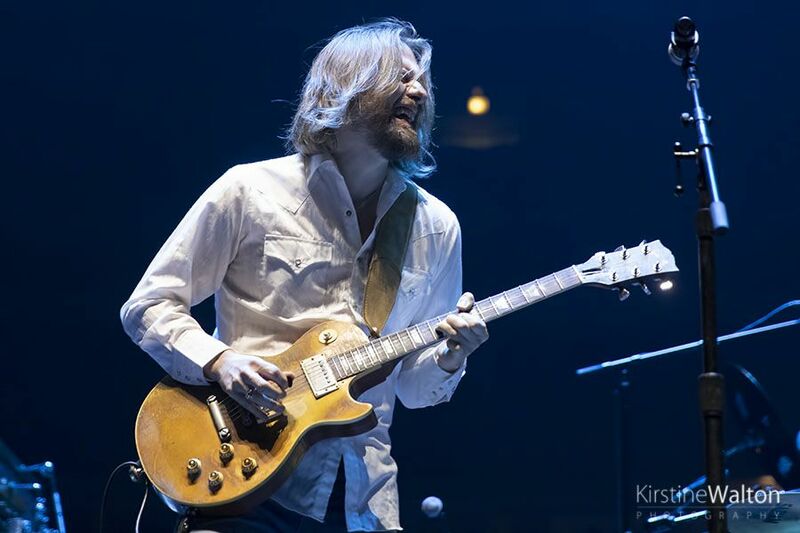 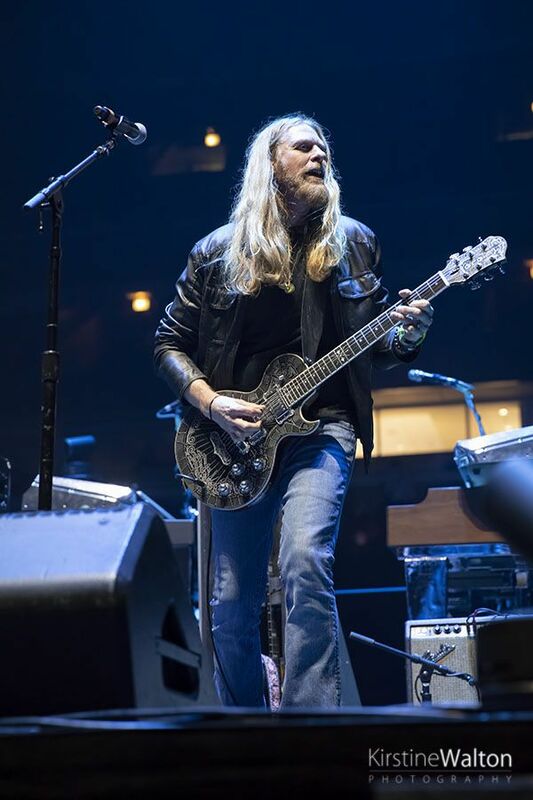 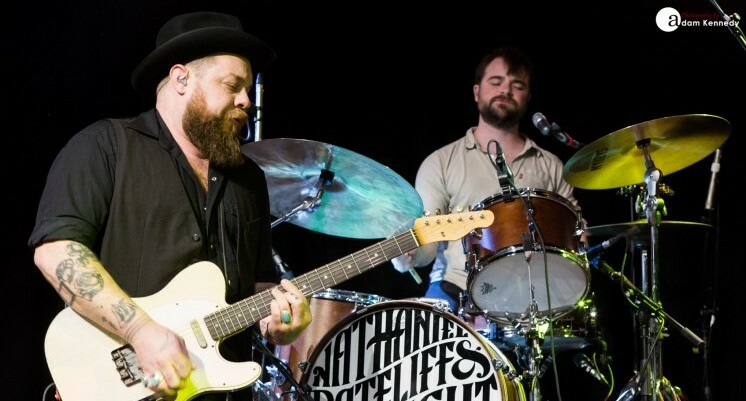 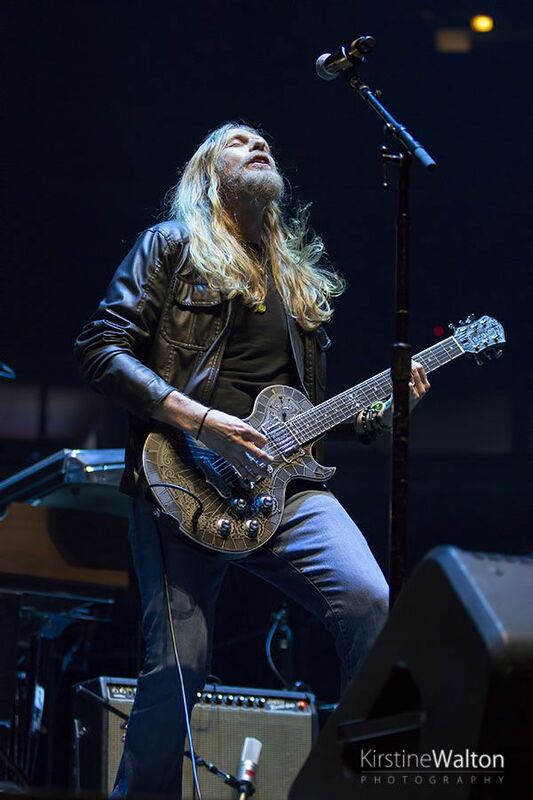 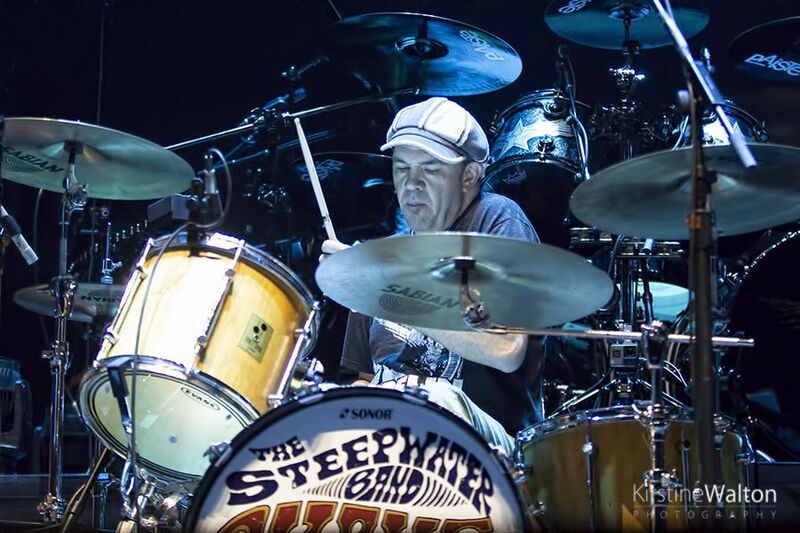 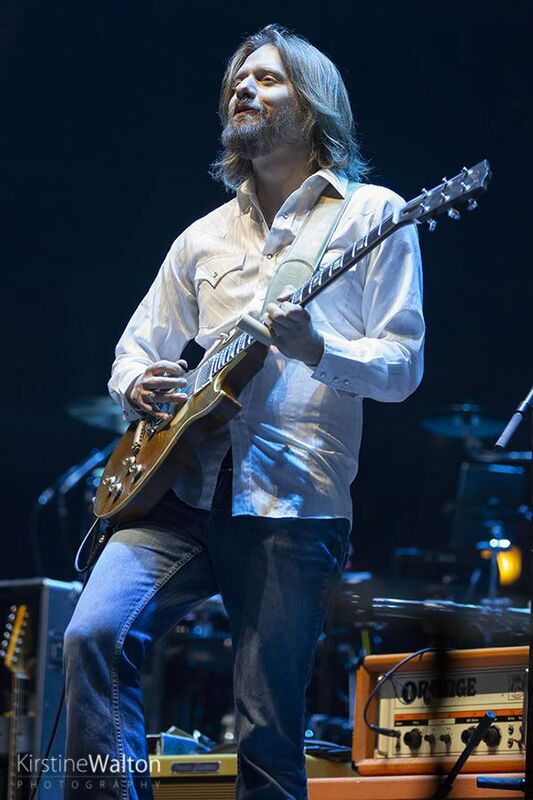 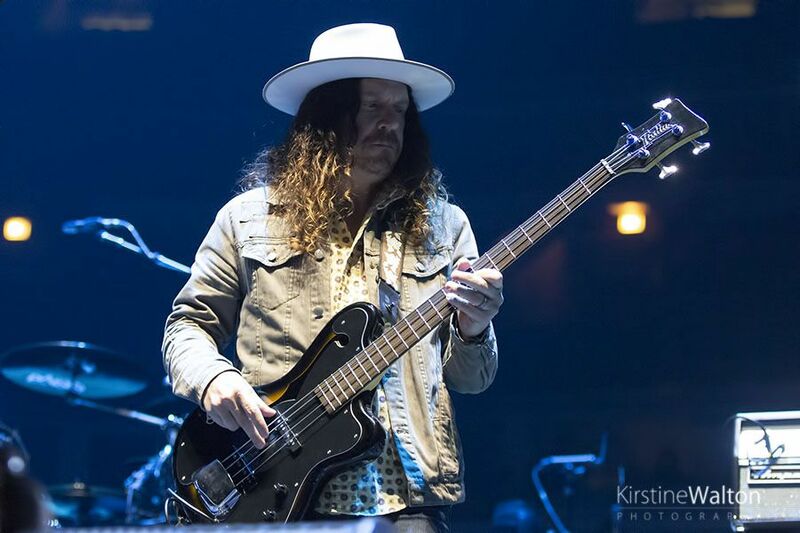 Chicago’s own much-loved The Steepwater Band had the honor of warming up the home crowd and will get the chance to do it all again for the Milwaukee show. 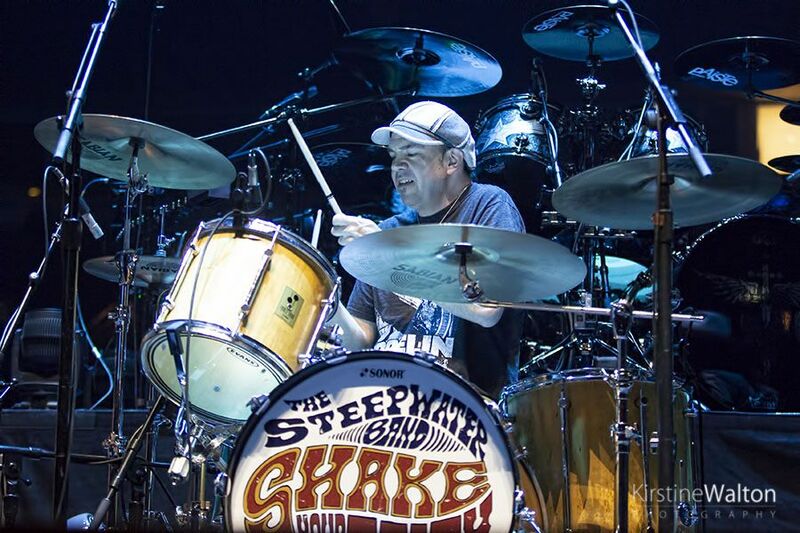 These shows will mark the end of the Shake Your Faith era for The Steepwater Band as they are taking a break for the rest of 2018 before working on new music planned for release next year. 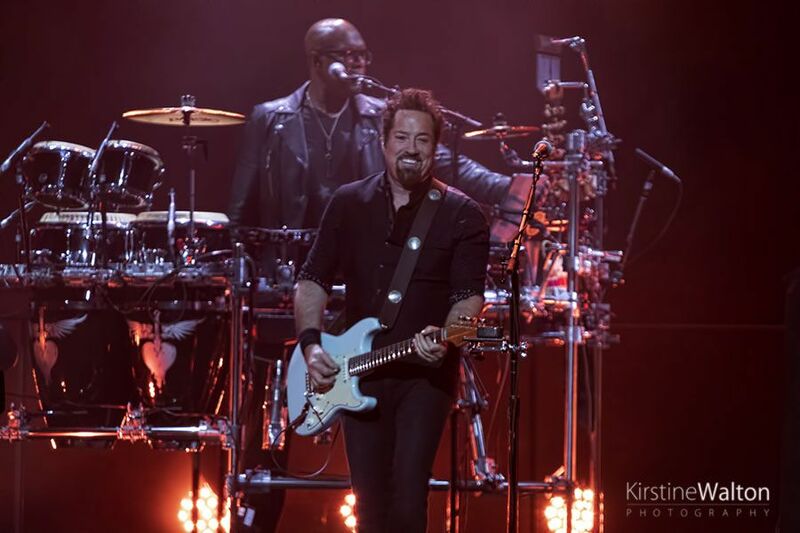 They began their set with the infectious “Silver Lining” and nicely warmed the United Center up, not that this crowd needed any warming up. 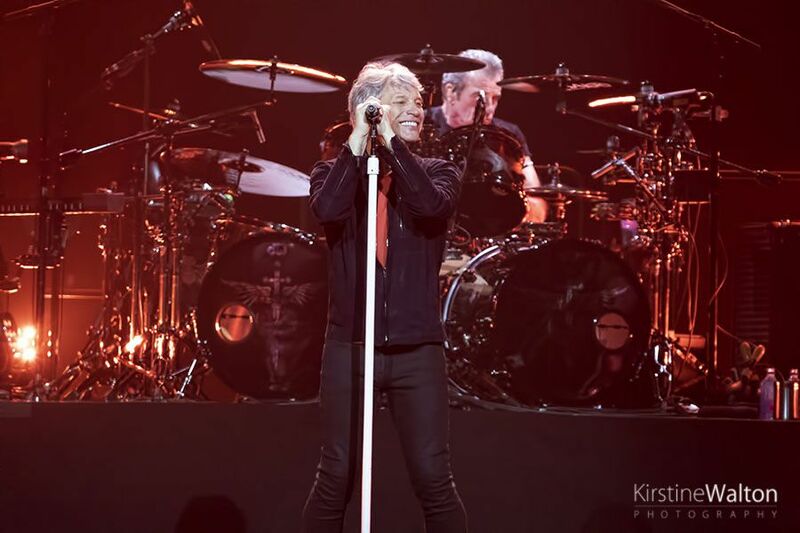 It’s been a long time coming, but finally, on April 14, the boys from New Jersey were inducted into the Rock And Roll Hall Of Fame. 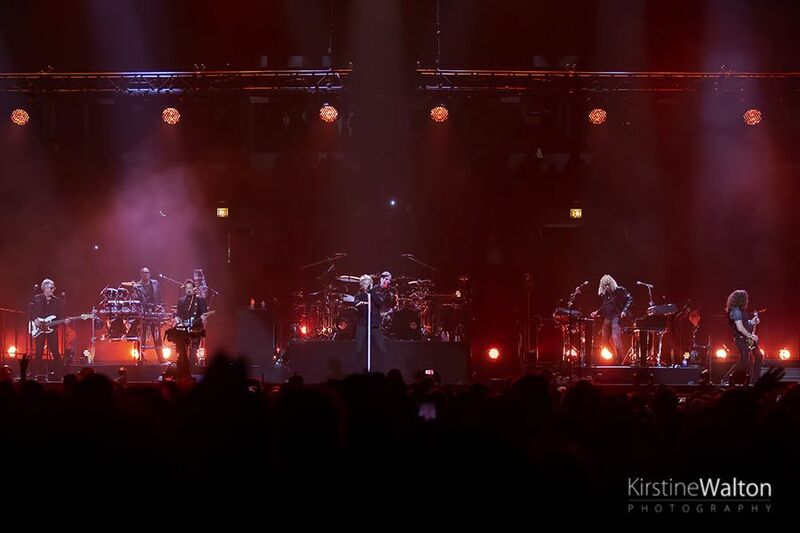 For those who weren’t able to make the trip to Cleveland for the ceremony, what better way to celebrate with the band than to pack out the United Center. 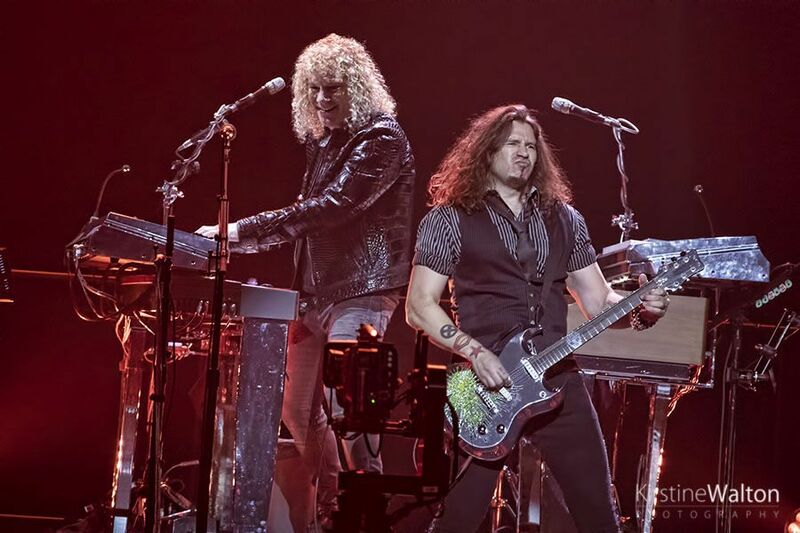 They’ve certainly come a long way since their 1984 appearance at the Rosemont Horizon, opening for ZZ Top. 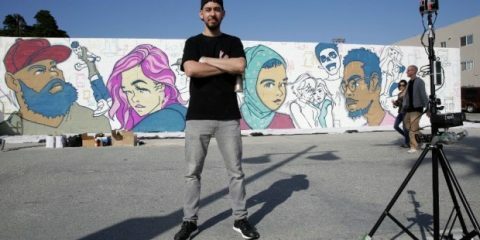 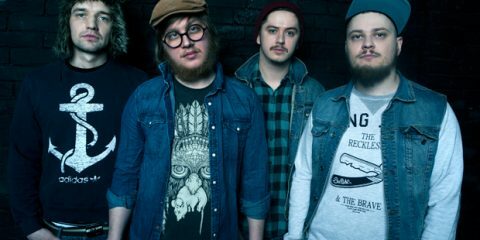 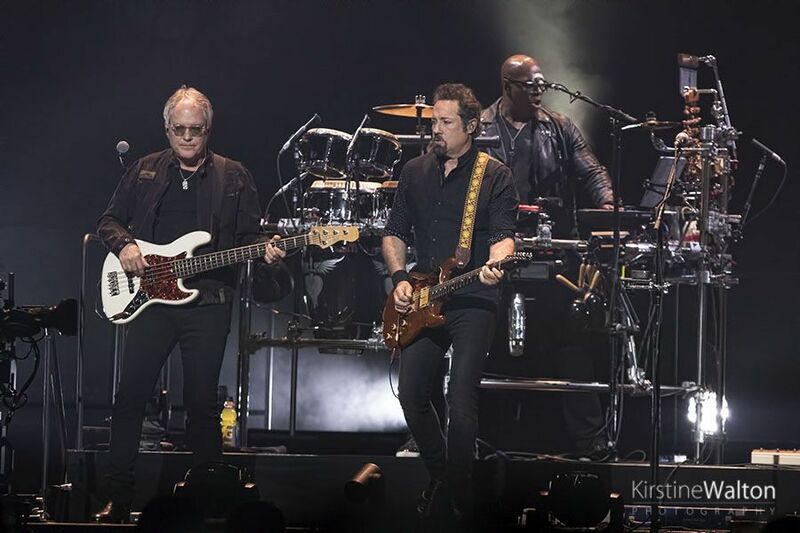 While the line up has changed, they still have a loyal fanbase who have been with them throughout the years. 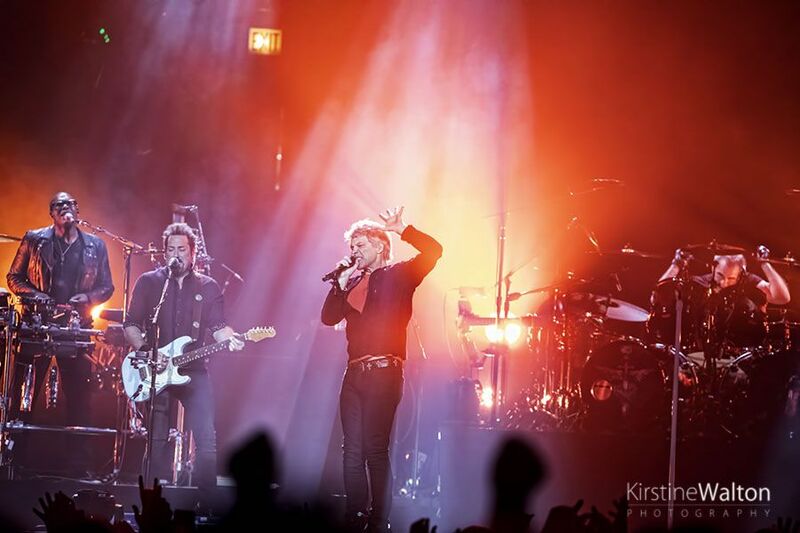 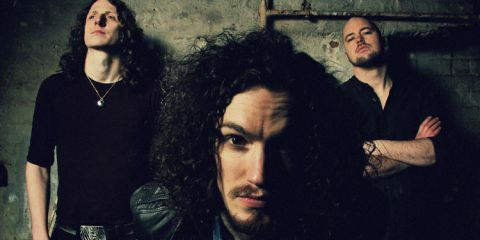 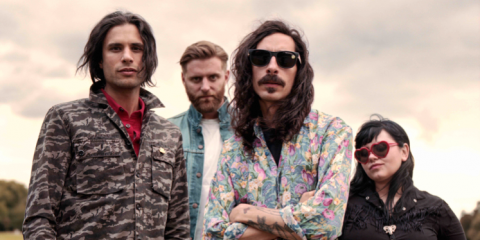 Many fans were discussing the fact that they’d seen them over 30 times, which is no mean feat. 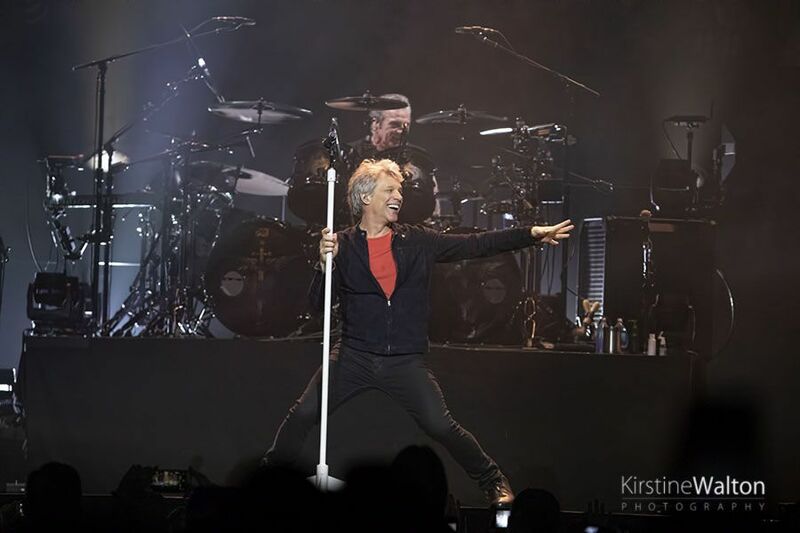 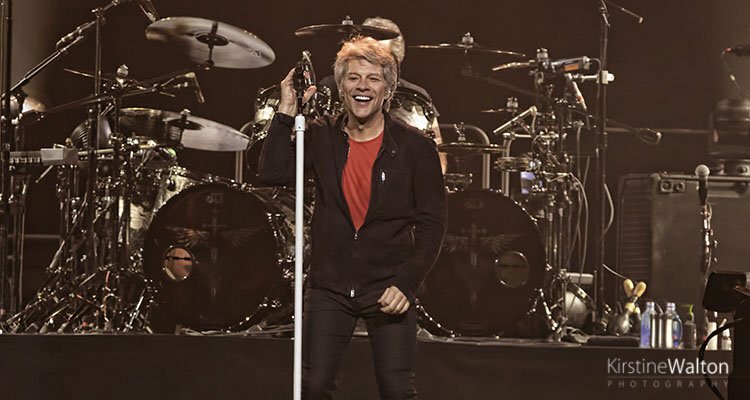 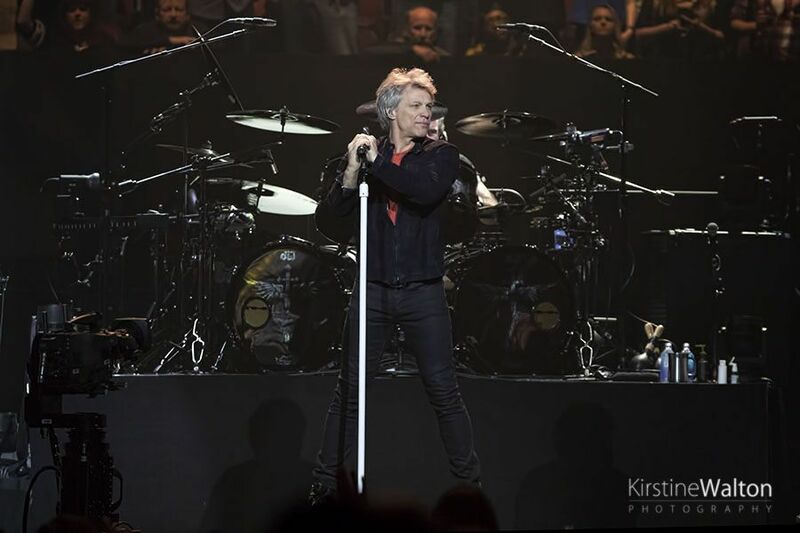 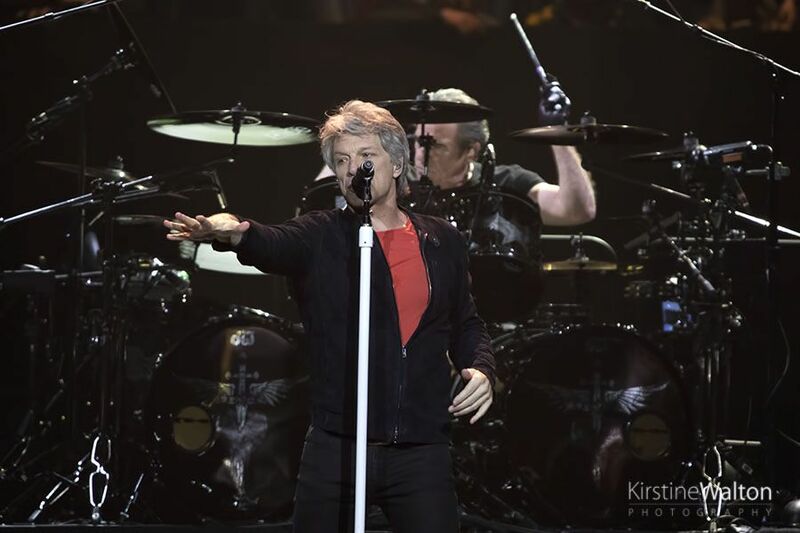 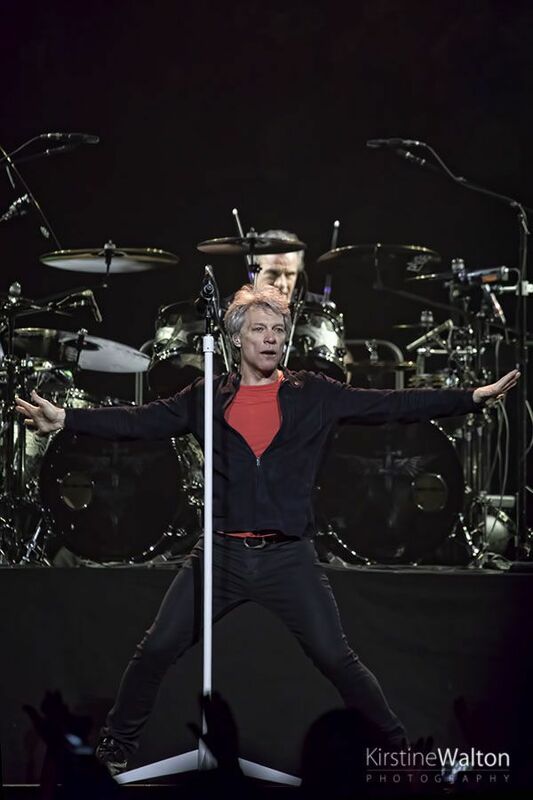 Jon Bon Jovi is every bit the entertainer, shaking his “money maker,” and getting the entire arena to scream on cue – as if they weren’t already screaming. 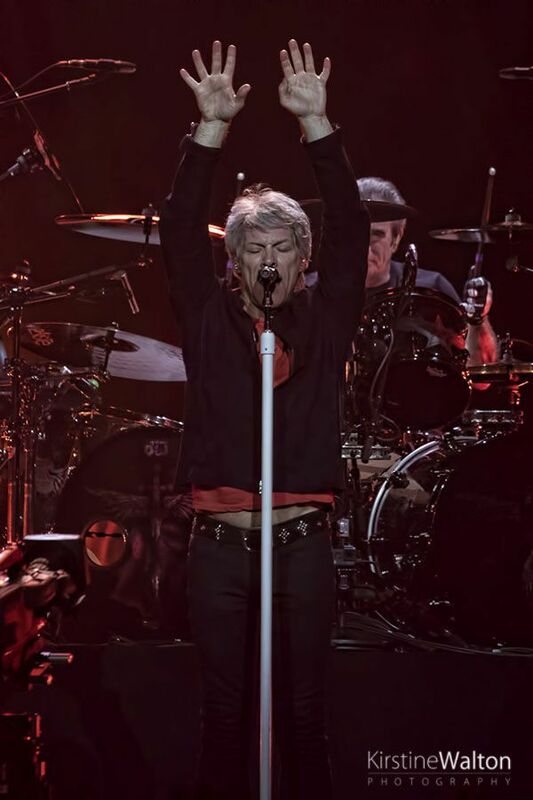 There has been some talk on this leg of the tour of the main man having vocal issues, but that was certainly not the case here. 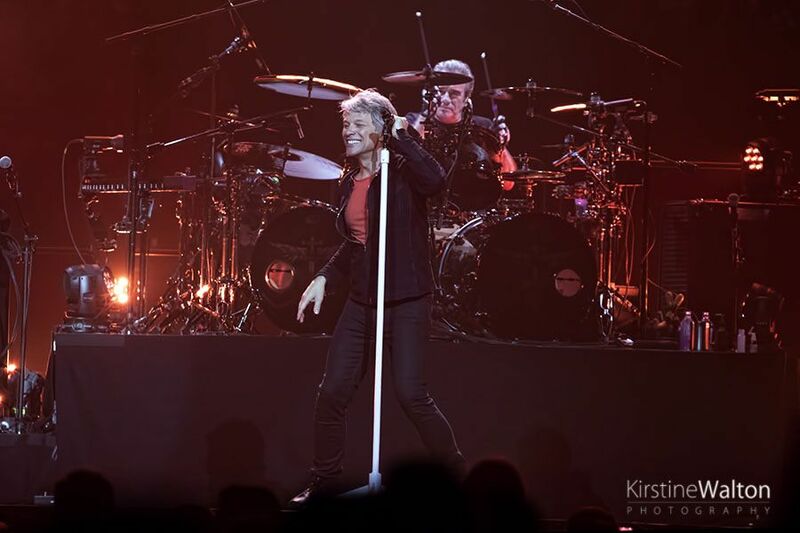 It can only be expected that some songs may have to be adapted over the years to accommodate for vocal changes, but there weren’t any glaring issues tonight. 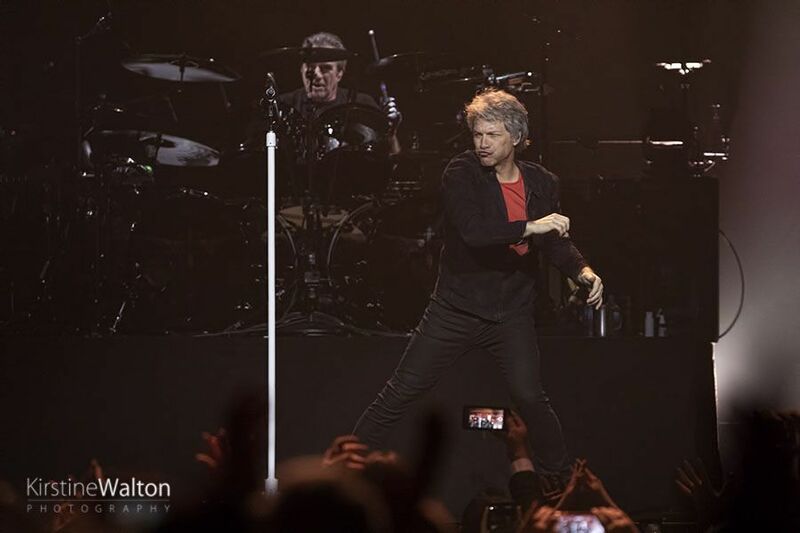 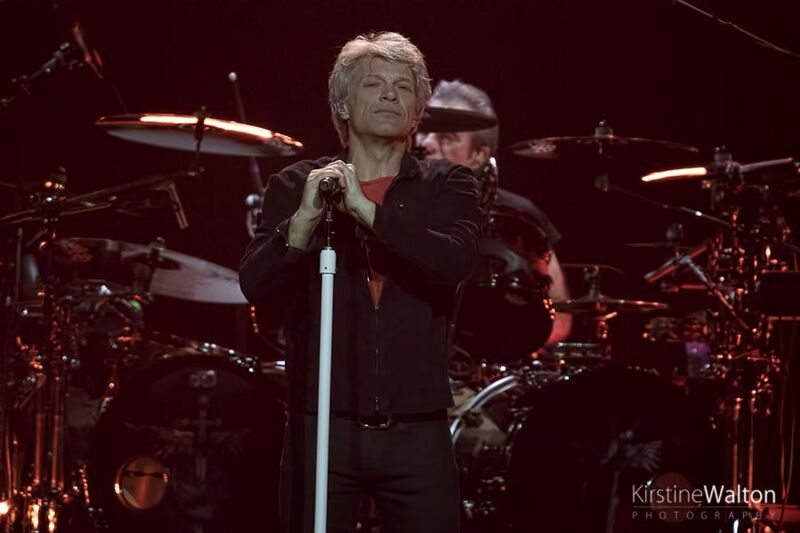 Knowing exactly how to work the audience into a frenzy, Jon headed into the crowd to perform “Amen” and “Bed Of Roses,” taking time to shake hands and selfies with the swarming fans. 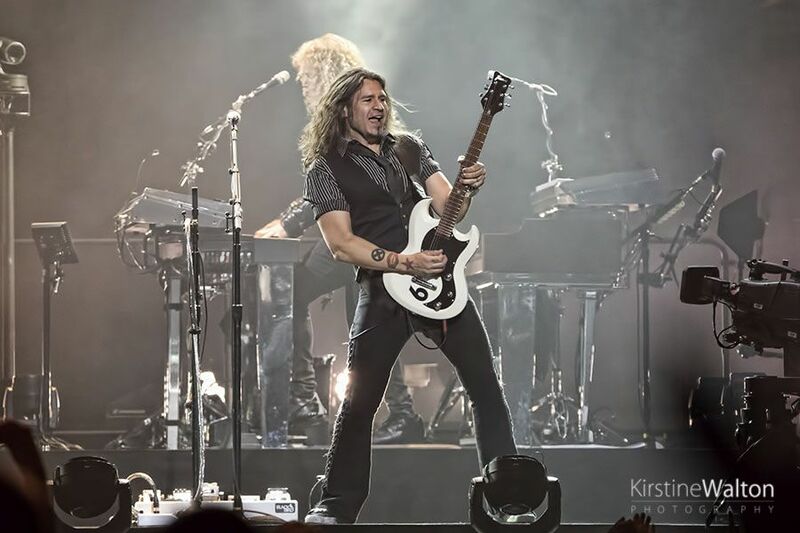 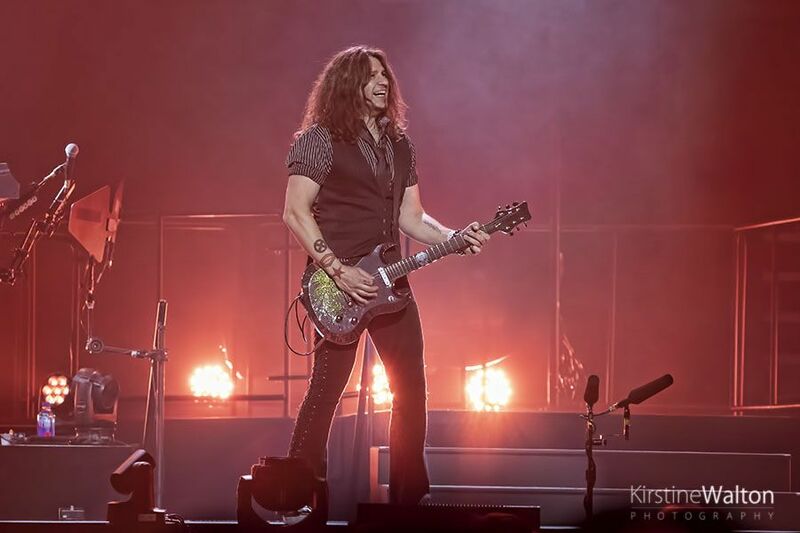 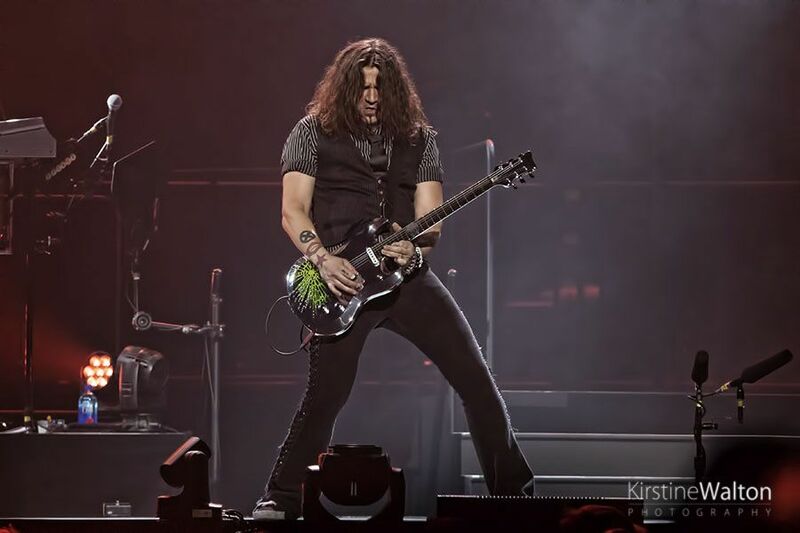 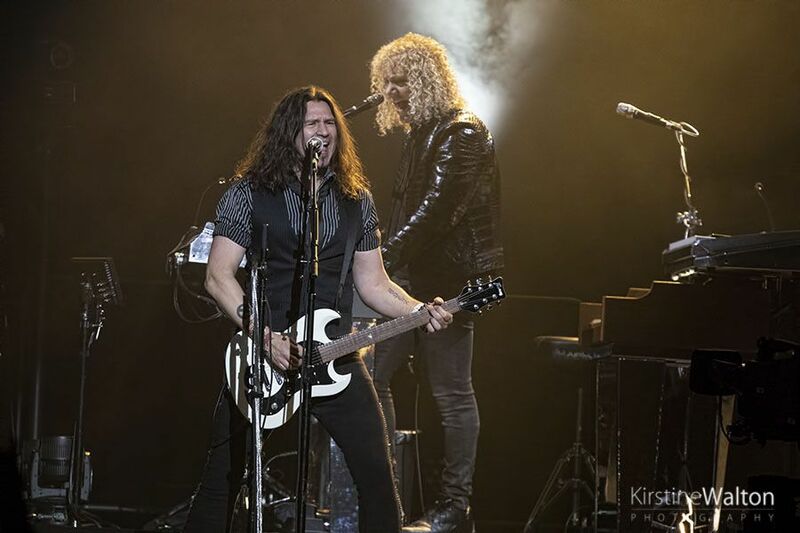 Phil X, the guy who “answered the bat phone not once, but twice” remained faithful to Richie’s iconic riffs and licks but added his own personal touch and flair where allowed. 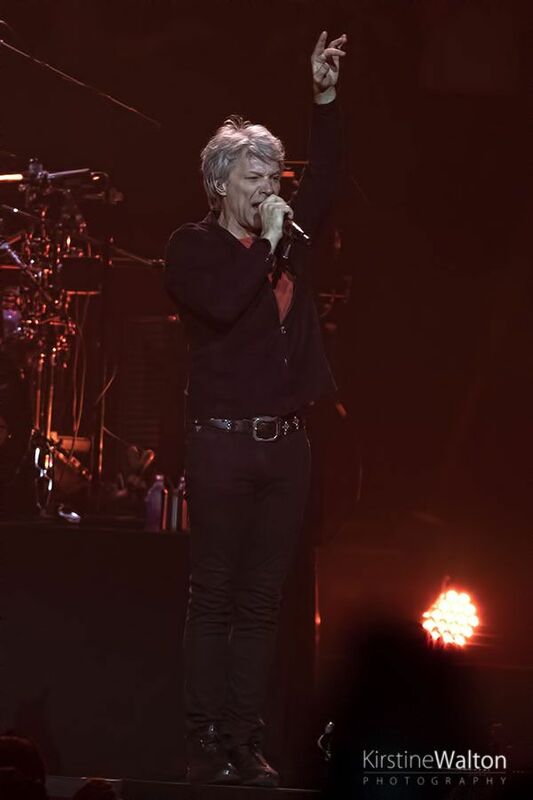 During the solo for “Keep The Faith” you get the opportunity to see him at his flamboyant best, as he takes the solo to a different place. 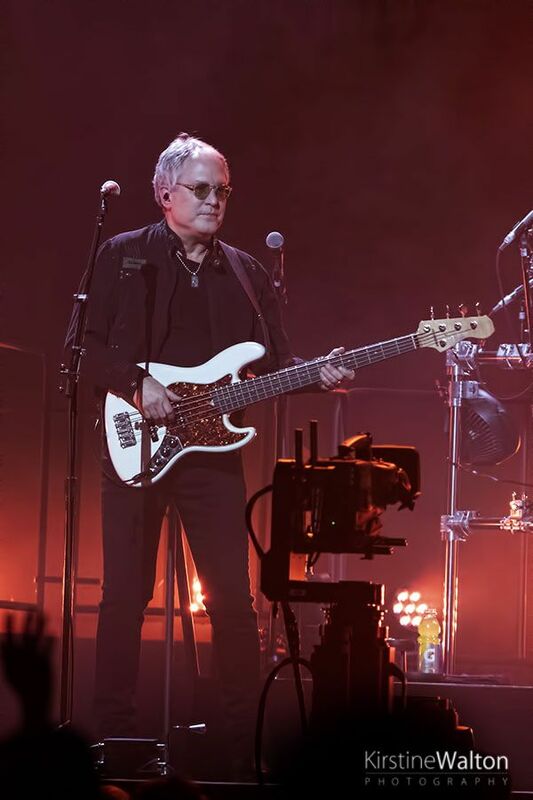 As Jon introduced the band, he noted, “That’s one hell of a band we have up here.” Tico Torres was reliably strong and provided a good backbone for the band, making his presence felt throughout. 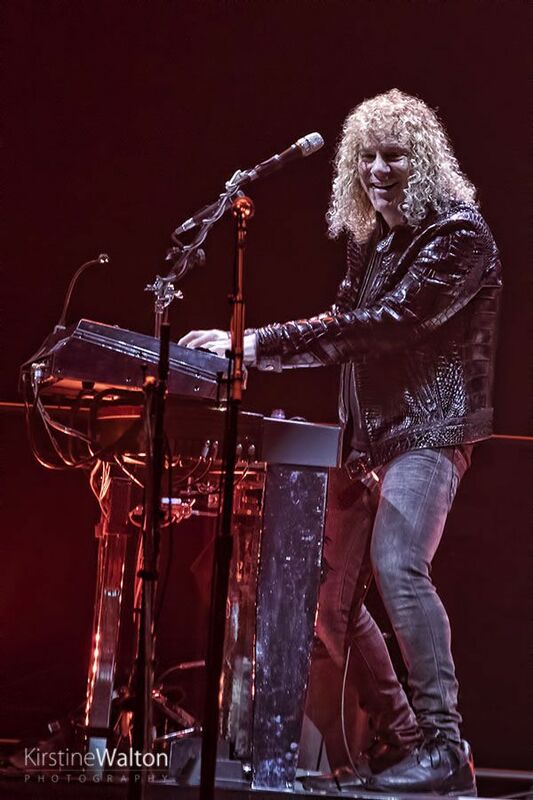 Tony Award winner David Bryan embellished their sound with his ever-present keys. 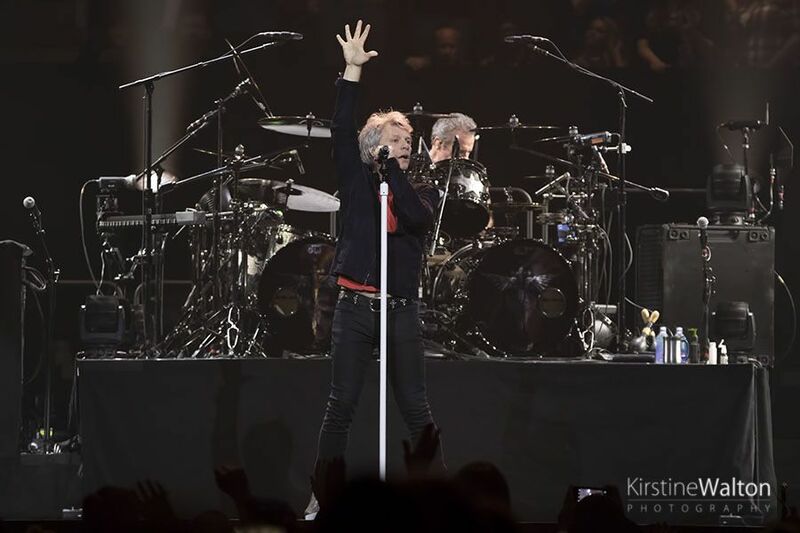 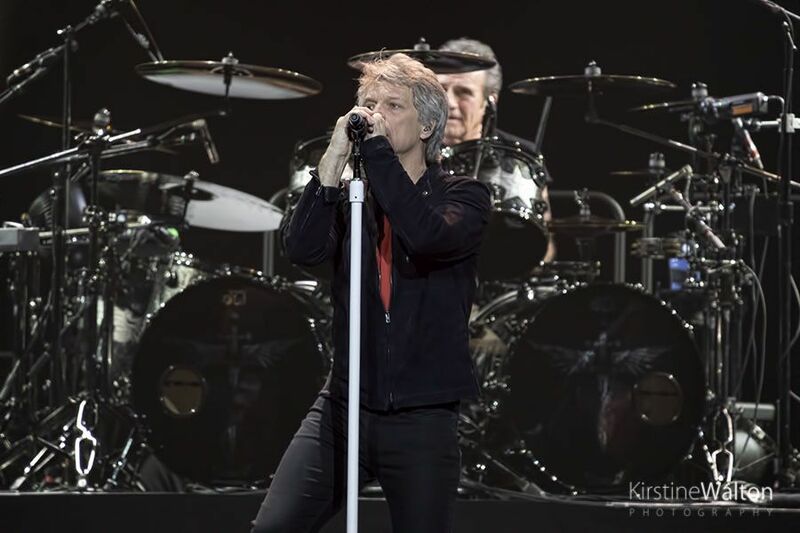 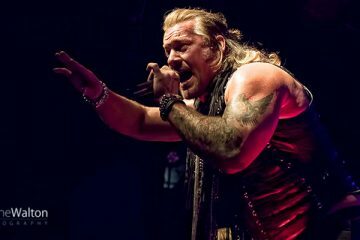 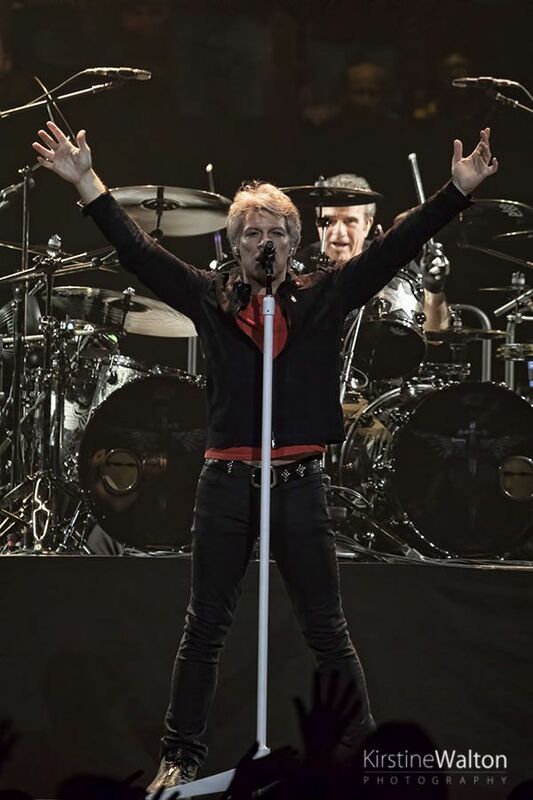 In true Bon Jovi style, the night is rounded out by two of their biggest songs, “Wanted Dead Or Alive” and “Livin’ On A Prayer,” both of which had the entire crowd singing along wholeheartedly, with mobile phones in the air. 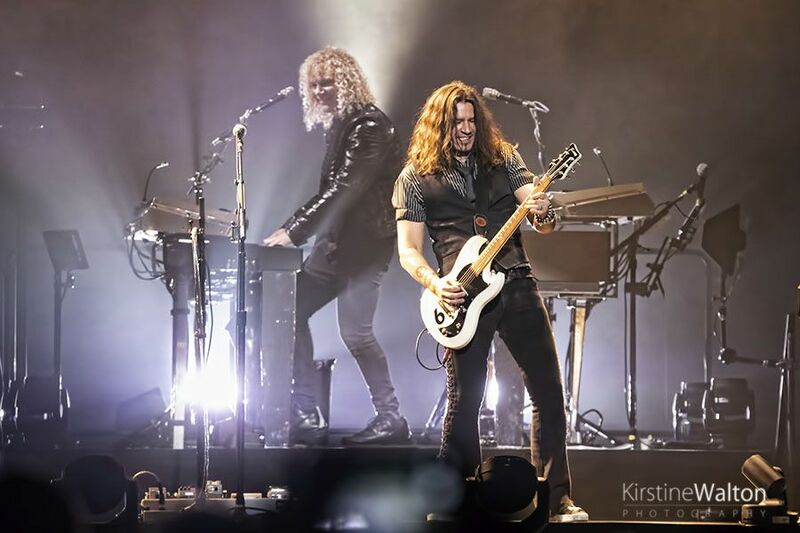 It’s the sign of a great show when you leave with hardly any of your voice left, and this was one of those nights. 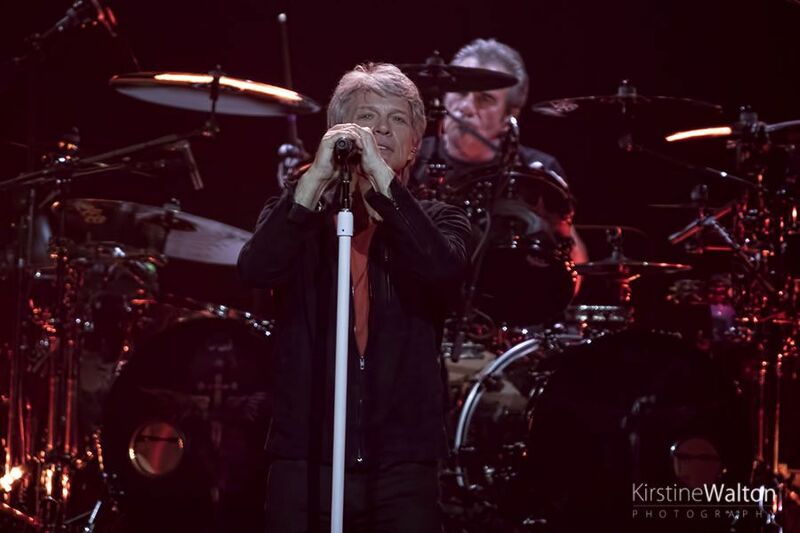 The tour continues on until May 18.